Hot Sauce Collectors and Limited Edition Hot Sauces Hot Sauce PLANET- The Planet's #1 Hottest Hot Sauce Shop! If you are a hot sauce collector, big or small, then this category is dedicated to you. We offer the rarest and most sought out collector's and limited edition hot sauces and extracts in the hot sauce world. 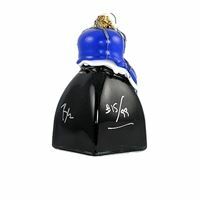 Most of the collector's items are numbered and signed by the creator's themselves. HotSauce.com only offers collector's bottles that are in brand new, pristine or mint condition with no cracks, chips or flaws in the wax. If you are in search of a particular collector's sauce that you do not see here, just send us an email and we will try to hunt it down for you. All collector's items that have been sold will have "SOLD" in the title. Blair's 2am, 3am, 4am, 5am, 6am, 16 Million Reserve Set, 6/2.5oz. - SOLD! Blair's MEGA B Collector's Hot Sauce w/ White Skull - #108/149 - SOLD! Blair's MEGA B Collector's Hot Sauce w/ White Skull - #113/149 - SOLD! Blair's MEGA B Collector's Hot Sauce w/ White Skull - #125/149 - SOLD! Blair's MEGA B Collector's Hot Sauce w/ White Skull - #4/149 - SOLD! Blair's MEGA B Collector's Hot Sauce w/ White Skull - #41/149 - SOLD! Blair's MEGA B Collector's Hot Sauce w/ White Skull - #52/149 - SOLD! Blair's MEGA B Collector's Hot Sauce w/ White Skull - #66/149 - SOLD! Blair's MEGA B Collector's Hot Sauce w/ White Skull - #8/149 - SOLD! Blair's MEGA B Collector's Hot Sauce w/ White Skull - #81/149 - LAST ONE! - SOLD! 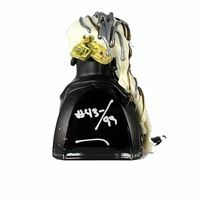 Blair's MEGA B Collector's Hot Sauce w/ White Skull - #85/149 - SOLD! Blair's Mega Death Halloween w/ Gold Skull, 5oz. - SOLD! 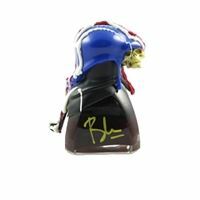 Blair's MINI B Collector's Hot Sauce w/ White Skull (Gold Wax) - #76/149 - SOLD! 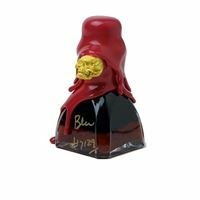 Blair's MINI B Collector's Hot Sauce w/ White Skull (Gold Wax) - #81/149 - SOLD! 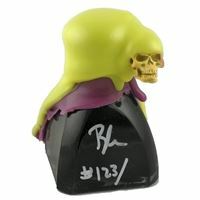 Blair's MINI B Collector's Hot Sauce w/ White Skull (Gold Wax) - #92/149 - SOLD! Blair's PRE Beyond Death Collector's Hot Sauce w/ Gold Skull, 5oz. - SOLD! Blair's PRE Pure Death Collector's Hot Sauce w/ Gold Skull (White Wax), 5oz. - #15/30 - SOLD! 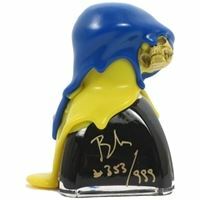 Blair's PRE Pure Death Collector's Hot Sauce w/ Gold Skull (Yellow Wax), 5oz. - #1/30 - SOLD! 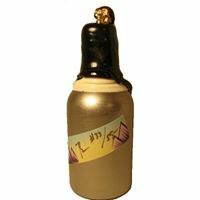 Blair's PRE Pure Death Collector's Hot Sauce w/ Gold Skull (Yellow Wax), 5oz. - #12/30 - SOLD! Blair's Reserve 16 Million Crystals, 1ml. - SOLD! 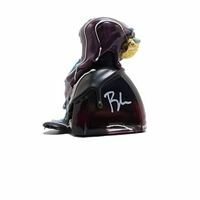 Blair's Reserve 2am Signed & Numbered, 2oz. - #8318 - SOLD! 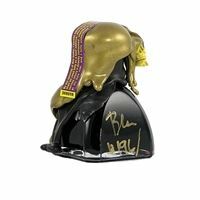 Blair's Reserve 3am Signed & Numbered, 2oz. - #9317 - SOLD! Blair's Reserve 4am Extract, 2oz. - #160 - SOLD! Blair's Reserve 4am Extract, 2oz. - LOW #88 - SOLD! Blair's Reserve 5am Extract, 2oz. - VERY LOW #22 - SOLD! Blair's Reserve 6am Extract, 2oz. - #28 - SOLD! Blair's Reserve 6am Extract, 2oz. - #702 - SOLD! Blair's Reserve B-99, 2oz. - SOLD! Blair's Reserve Caldera, 6oz. - SOLD! Blair's Reserve Encore, 2oz. - SOLD! Blair's Reserve Fire Cracker 500 - Blue #373 - SOLD! Blair's Reserve Fire Cracker 500 - Blue #390 - SOLD! Blair's Reserve Fire Cracker 500 - Blue #394 - SOLD! Blair's Reserve Fire Cracker 500 - Blue #396 - SOLD! Blair's Reserve Fire Cracker 500 - Limited Availability! - SOLD! Blair's Reserve Fire Cracker 500 - Red - SOLD! Blair's Reserve Halloween 2004, 2oz. - SOLD! Blair's Reserve Halloween 2005, 2oz. - SOLD! Blair's Reserve Halloween 2006, 7oz. - #35 - SOLD! Blair's Reserve Halloween 2007, 2oz. - #255 - SOLD! Blair's Reserve Halloween 2007, 2oz. - #259 - SOLD! Blair's Reserve Halloween 2007, 2oz. - #267 - SOLD! Blair's Reserve Halloween 2007, 2oz. - #273 - SOLD! Blair's Reserve Halloween 2007, 2oz. - #280 - SOLD! Blair's Reserve Halloween 2007, 2oz. - #281 - SOLD! Blair's Reserve Halloween 2007, 2oz. - #287 - SOLD! Blair's Reserve Halloween 2007, 2oz. - #294 - SOLD! Blair's Reserve Halloween 2007, 2oz. - #297 - SOLD! Blair's Reserve Halloween 2007, 2oz. - #298 - SOLD! Blair's Reserve Halloween 2007, 2oz. - SOLD! Blair's Reserve Halloween 2008 - SOLD! Blair's Reserve Halloween 2009, Hand Blown Pumpkin Bottle - SOLD! Blair's Reserve Halloween 2010, Triple Stacked Fury - #34/#25 of 99 - SOLD! Blair's Reserve Halloween 2011, Globe of Fury! - Low #50 of #199 - SOLD! Blair's Reserve Halloween 2011, Globe of Fury! - Very Low #9 of #199 - SOLD! Blair's Reserve Halloween Set 2005, 2006, & 2007, 3/2.5oz. - SOLD! Blair's Reserve Holiday 2004, 4oz. - SOLD! Blair's Reserve Holiday 2005, 2oz. - SOLD! Blair's Reserve Holiday 2006, 7oz. - SOLD! Blair's Reserve Le Million, 2oz. - SOLD! Blair's Reserve N-59, 2oz. - #56 - SOLD! Blair's Reserve N2-59, 2oz. - #09 - SOLD! Blair's Reserve N2-59, 2oz. - #55 - SOLD! Blair's Reserve N3-59, 2oz. - #08 - SOLD! Blair's Reserve N3-59, 2oz. - #26 - SOLD! Blair's Reserve N3-59, 2oz. - #31 - SOLD! Blair's Reserve T-99, 2oz. - Blue - SOLD! Blair's Reserve T2-99, 2oz. - #08 - SOLD! Blair's Reserve T2-99, 2oz. - #80 - SOLD! Blair's Reserve T2-99, 2oz. - #83 - SOLD! Blair's Reserve T2-99, 2oz. - #87 - SOLD! 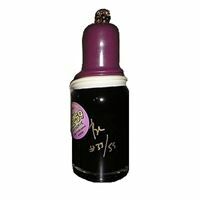 CaJohn's Original Caveat Emptor #39 2007, 4oz. - SOLD! Dave's Gourmet Insanity Collectors - Full Set Private Reserve's 1994-2009! - SOLD! Dave's Gourmet Insanity Private Reserve 1998, 5oz. - SOLD! Dave's Gourmet Insanity Private Reserve 2003, 5oz. - #487 - SOLD! Dave's Gourmet Insanity Private Reserve 2005, 5oz. - #728 - SOLD! Dave's Gourmet Insanity Private Reserve 2006, 5oz. - SOLD! Dave's Gourmet Insanity Private Reserve 2007, 5oz. - #1195 - SOLD! Dave's Gourmet Insanity Private Reserve 2007, 5oz. - #202 - SOLD! Dave's Gourmet Insanity Private Reserve 2008, 5oz. - #1798 - SOLD! Dave's Gourmet Insanity Private Reserve 2008, 5oz. - #2195 - SOLD! Dave's Gourmet Insanity Private Reserve 2008, 5oz. - #2198 - SOLD! Dave's Gourmet Insanity Private Reserve 2008, 5oz. - #2916 - SOLD! Dave's Gourmet Insanity Private Reserve 2008, 5oz. - #2928 - SOLD! Dave's Gourmet Insanity Private Reserve 2008, 5oz. - #3187 - SOLD! Dave's Gourmet Insanity Private Reserve 2008, 5oz. - #3327 - SOLD! Dave's Gourmet Insanity Private Reserve 2009, 5oz. - #1554 - SOLD! Dave's Gourmet Insanity Private Reserve 2009, 5oz. - #1639 - SOLD! Dave's Limited Edition 2006 Holiday Reserve, 3.5oz. - SOLD! Dave's Limited Edition 2007 New Mexico Reserve, 2oz. - #32 of #39 - SOLD!